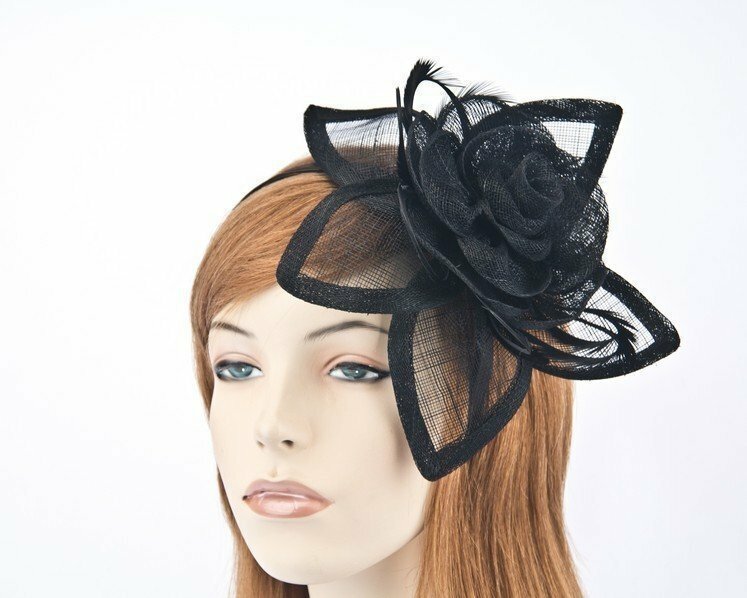 Beautiful large black flower fascinator hand-made from pure sinamay and placed on the headband for comfortable wear. An excellent choice for Melbourne Cup or racing carnival outfit. At Hats From OZ we are committed to quality!